There is something exhilarating about purchasing an RV, whether it is a motor coach, boat, watercraft, or even a classic car. Each of these vehicles offers significant and unique benefit to the owner. RV ownership however extends beyond how you enjoy your RV use and includes finding the right type of storage for your vehicle when not in use. Because most recreational vehicles are used only occasionally, storage in the Highland area becomes essential. 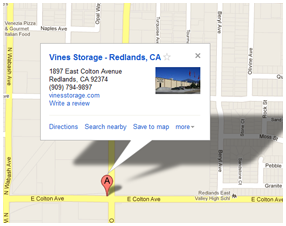 Vines Storage in Redlands offers self-storage packages that meet short term and long-term needs of RV owners, boat owners, businesses, and individuals who just need some extra space. Packages for self storage range so that you can store valuables only during the off-season, or for extended periods of non-use. It may not be difficult to find storage facilities in your area. The accommodations from one facility to another, however, may vary quite a bit. Many Southern California vehicle storage facilities offer outdoor covered and uncovered parking. Indoor storage may be available for smaller crafts, which may fit into a standard drive-up storage unit. An area dedicated to RVs may also be something offered by a storage facility. To ensure you are finding the best storage for your particular needs, you will want to determine what your priorities are. Taking the time to consider various aspects of storage will help you. Can you drive your RV into your space easily? Vines Storage offers the largest indoor RV storage areas in Southern California. Our facility has been converted from an empty warehouse, giving us ample ceiling height and room to navigate spaces for larger vehicles comfortably. We offer indoor and outdoor RV storage, excellent amenities, and 24/7 surveillance security behind tall walls. To learn more about our packages and facility, contact us at 909-389-6209.